Marmomacc is the platform where big and small manufactures processors, importers and exporters of stone, stone working machinery, decorators, designers and people from the service industry assemble every year to struck business deals as well as to launch new products and display trends. 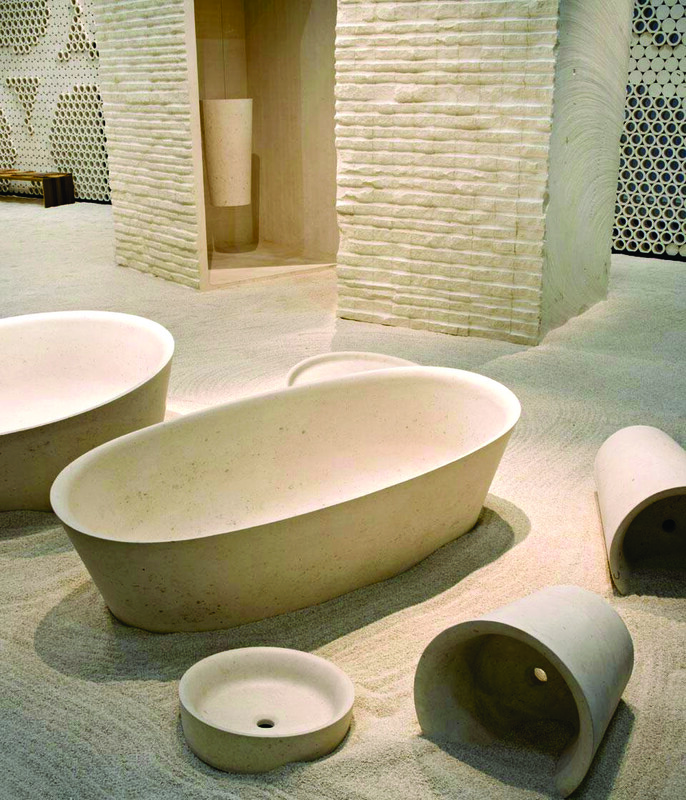 The coming edition of Marmomacc, scheduled from September 24-27, 2014 will again be unique as the fair together with Abitare il Tempo, the original and unique event on the international exhibitions seem dedicated to interior design and furniture, will be held in Verona, Italy. Holding Marmomacc and Abitare il Tempo together is part of a district strategy implemented by Verona Fair for synergic involvement of an international professional audience comprising designers, architects and contract sector operators who will hereby find in Verona the best proposal for materials, technologies, interior finishings and furniture in a full-scale during forum. This important liason between the two shows means that Marmomacc via integrate experience proposals in terms of certificates; design and furnishing in the hospitality segment, while Abitare il Tempo will broader its target is terms of exhibitors and visitors alive. This collaborative Venture will add a new chapter in the history of Verona Fair, the organiser of the event. It is expected to boost participation of exhibitors and visitors from the world over. In 2013 Marmomacc attracted a record number of 56,992 visitors including almost-half of it from 143 countries, boasting 20.61 percent attendance from Asia and the Middle East and significant participation from non-EU countries. The ten top specialised operators came first of all from Germany, followed by India, Spain, Turkey, France, US, UK, China, Russia and Brazil. The four days event welcomed well over 1,400 exhibitors from nearly 60 countries with new entries from Singapore, Slovenia and Ireland. There were 16 international group attendances, with the return of Palestine and debut of Tunisia and 44 official trade missions from 44 countries. Holding these two events together also brings about innovations inside the exhibition centre. Abitare il Tempo will now be located in PALAEXPO, where qualified companies with a strong vocation in the contract segment and tailor-made projects, while Hall 1 will host Inside Marmomacc and Abitare il Tempo cultural exhibitions, events and conferences. This new exhibition concept ensures better integration of visitors to the two shows and allows all exhibitors to play an active role in the programme of events through company workshops, B2B meetings and experimentatal exhibitions.